…fill my child with Your Holy Spirit. …may Z grow up loving you and loving girls. …protect Z when he needs it, but allow him to be dangerous for You. 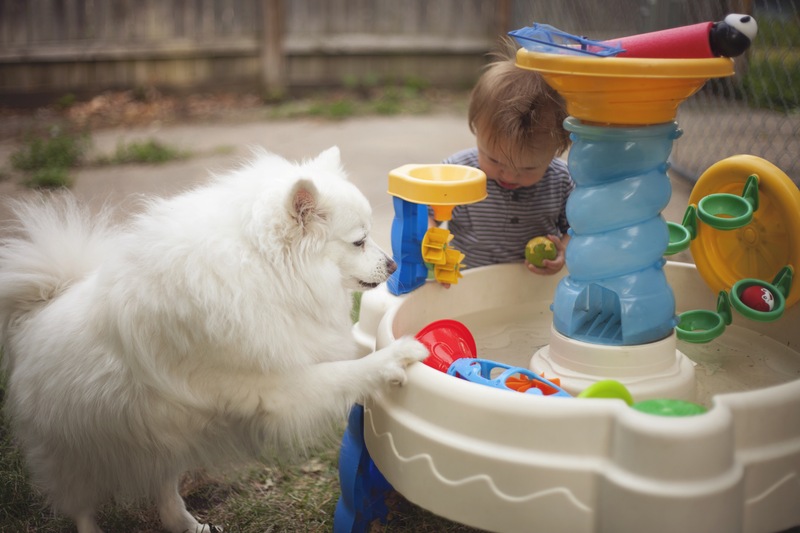 …teach him to be kind, patient, loving, generous and faithful. Then I started thinking the other day. Why am I just praying for Zeke to be kind? When do we start teaching kindness? I guess my answer is: always. Over the last year, I remember countless times I’ve been teaching kindness without even thinking about it. 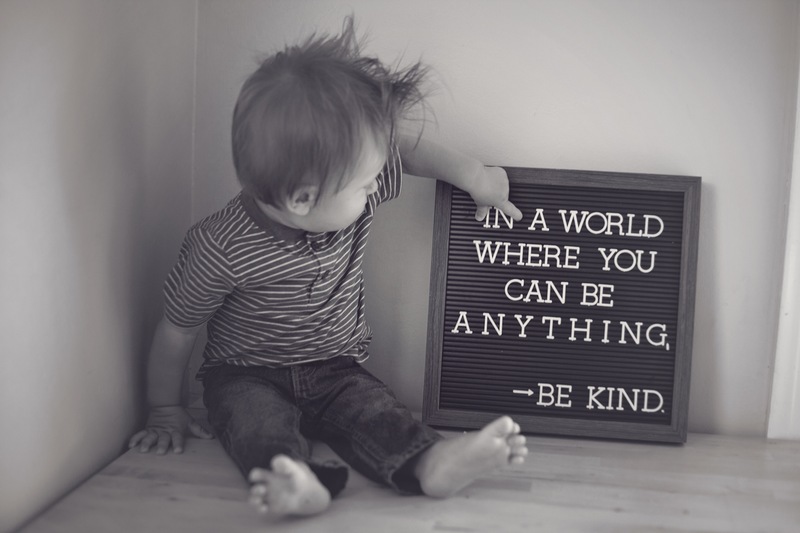 I desire for my child to change the world…even if that’s just through kindness. As he continues to grow, I’m sure there will be hundreds of opportunities each day to show him and teach him kindness. Then it got me thinking about something else. I’m not always kind. When I’ve had a rough day, sometimes I’m not kind when my husband comes home. When someone is a terrible driver, sometimes I’m not kind to them under my breath. 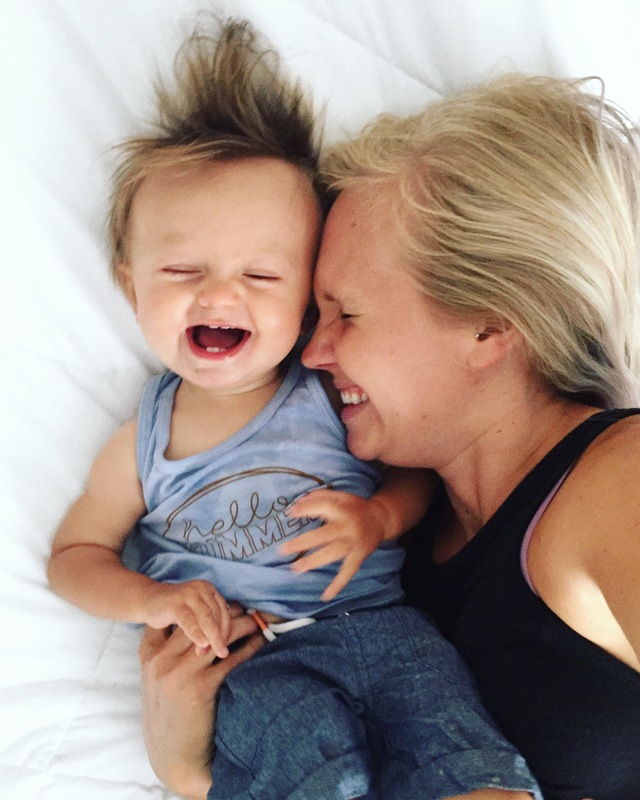 When I’m told I’m parenting wrong, sometimes the kindness inside of me turns into burning anger. (Real tough, honest one) When jealousy enters my heart, sometimes my response is very poor rather than excited, happy or kind. May each of you be reminded to be kind; be kind to your spouse, your children, your family, your friends, your pets, and yourself. Be kind to every person that God created. And be kind to other mommas–you might be the only adult she sees all day. In a world filled with evil–be kind. 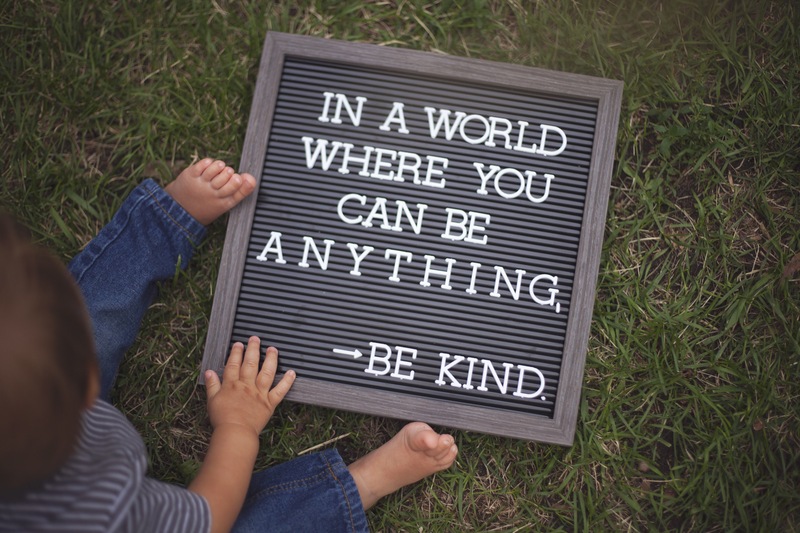 In a world where you can be anything–be kind. This entry was posted in encouragement and tagged advice, be intentional, be kind, childhood, encouragement, family, fruit of the spirit, growing up, kindness, lessons, letter board, life, love, marriage, mom blog, mom blogger, momma meets world, motherhood, parenthood, parenting, prayer, raising boys, teaching. Bookmark the permalink.